Do you want to memorize the whole Quran or may be certain portions of it? As daunting as the task sounds, there have been numerous huffaz in every generation since the time of the Prophet Muhammad (sa), and it is a very doable task if one wishes to do so. 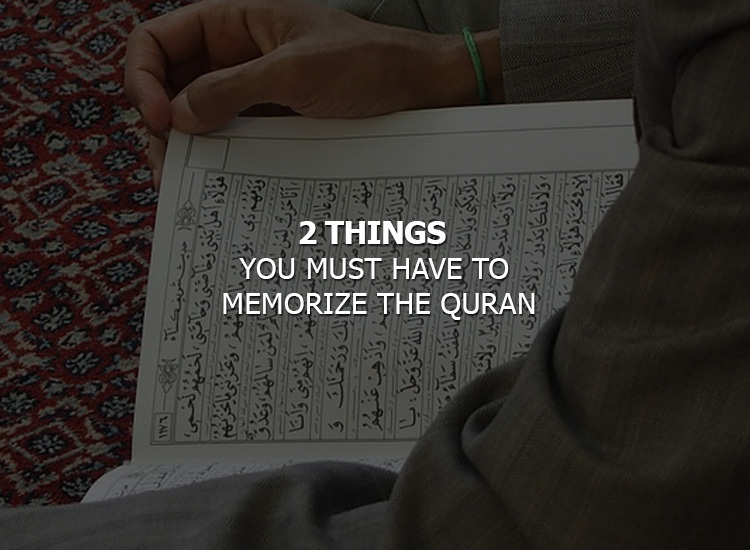 When memorizing the Quran there are two things that one must have. These are two prerequisites that every student of the Quran must have if they wish to succeed! Whether it is memorizing the Qur’an or doing anything else for the sake of Allah, the single most important thing needed for the success of that goal is to have the right intnetion. One must secure one’s intention purely for the sake of Allah for even if the person does not achieve success in this world, his success is guarenteedin th hereafter. When one intends to memorize the Qur’an, in order to preserve the Words of Allah in his heart, he must align his intention to gain Allah;s pleasure and to attein paradise through it. There is no reward for one who recites the Qur’an or memorizes it for people’s sake: to show off and to be heard. Once a person has made sure his intention is purey for the sakke of Allah, he needs to maks sure that he has a firm resolve to perservere and do everythign it takes to complete emorization. A person may want to do something for the sake of Allah but if he doesnt have the resolve, and does nto work har for it, he will not be successful. Without as firm resolution a person will treat the whole matter lightly, will become tired easily and will not even be able to achieve his goal. One of the ways to develop a firm intent is to know the excellence of the Qur’an and to aspire to gain the beautiful rewards promised! I really want to,but how?